As we know, applications for BlackBerry 10 are installed by two ways: via BlackBerry World and Side-load app from .bar file. Along with support for running Android applications (apk) is converted to. 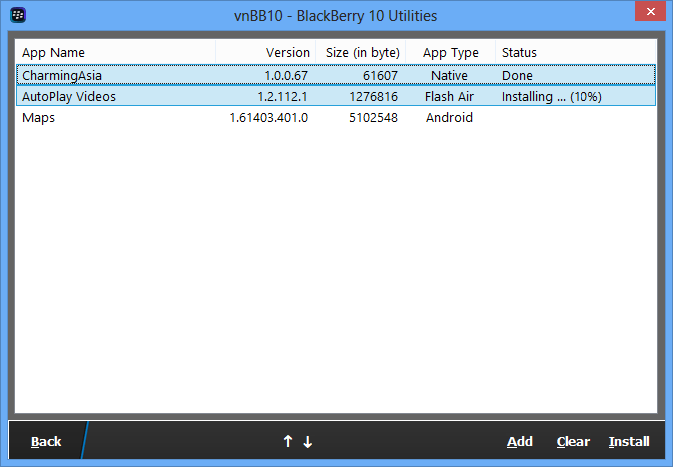 bar on the BB10 so the installation (side-load) .bar file on BB10 is an essential need. 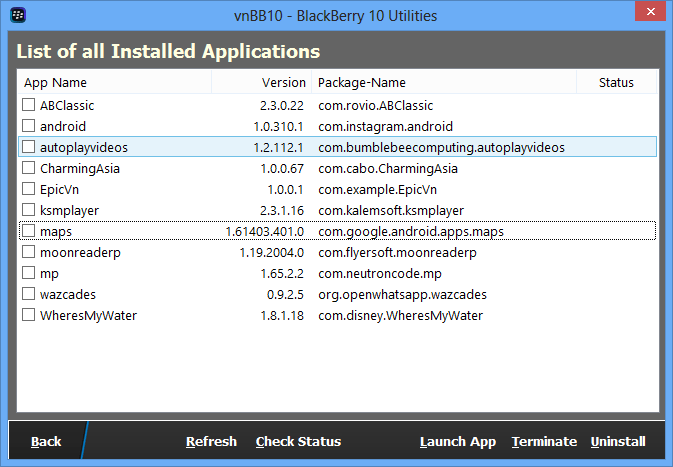 This vnBB10 utility designed to help you install and manage applications from the .bar files is easy. 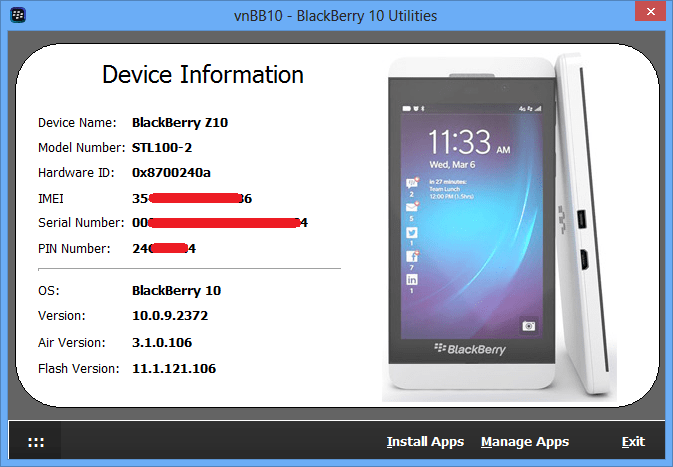 Besides, the utility also allows you to see all the information about your BB10 devices such as: Model, Hardware ID, IMEI, Serial Number, PIN … Especially Hardware ID, because this parameter can not be viewed directly on the BB10, and it is essential if you plan to install the Offline operating system for BB10 by Autoload file. Clear all list of app, or right-mouse click to remove a selected item. This Utility support PlayBook also. This entry was posted in 4. 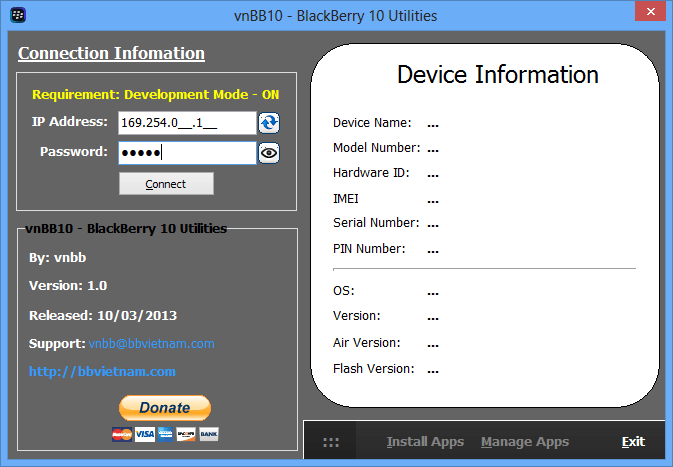 Others and tagged BB10, BlackBerry 10, vnBB10, vnbbUtils.